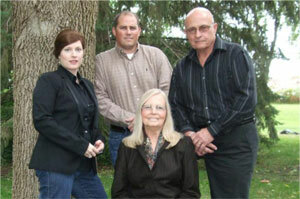 The Pauling’s combined have over 80 years of work experience in the Portable Restroom Industry. We have actively participated in the Portable Sanitation Association International (PSAI) workshops, seminars, and committees since 1986. Both Mike and Heather have served on the board of directors. Biffs, Inc. and The Pauling’s are respected leaders in the Portable Restroom Industry. The disinfectant manufactured by Eco-Lab allows our workers to totally disinfect a portable restroom with only 1 gallon of water. Not only does the product provide a clean restroom, but the water saved in the process enables our workers to efficiently clean units at a job site with less trips to the water wells. The time saved and the efficiency achieved is practically immeasurable. Tom L Stange – President – C & L Sanitation, Inc.